"Ooooh let's be flying!" say the ghosts. Zoulah the friendly witch welcomes you to her "Bewitchen Kitchen!" 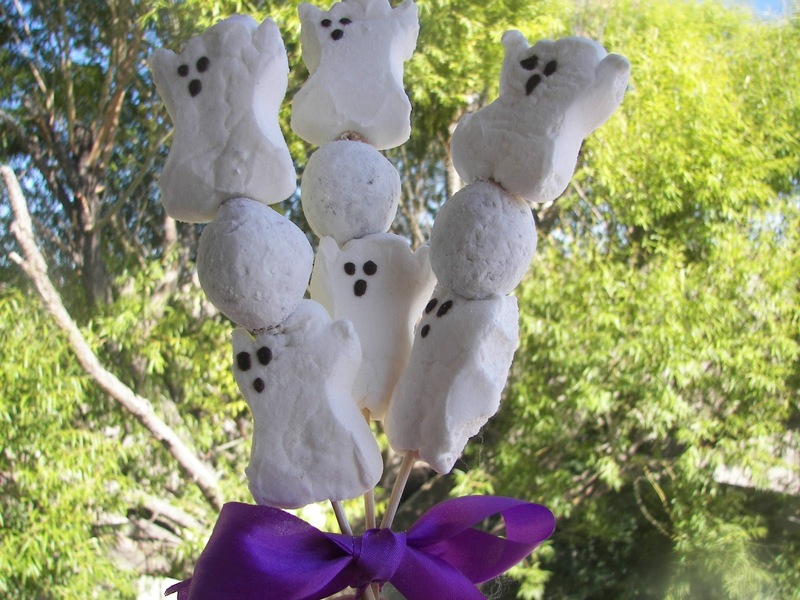 Zoulah is fascinated by "sweet treats on a stick, " especially at Halloween -- her mind keeps on thinking up the possibilities. She loves powdered sugar donuts and recently came up with the idea for a "Boo Bouquet." So sweet and scary! Zoulah linked up with Jenny Matlock's Alphabe-Thursday where the letter of the week is "D."
All you need are skewers, donut holes, and Peeps ghosts. Make sure you skewer your donut holes and Peeps with the blunt end of the skewer if you want to display them in a pitcher like Zoulah did. If you don't use the blunt end, you will have to use the blunt end to push into your styrofoam. 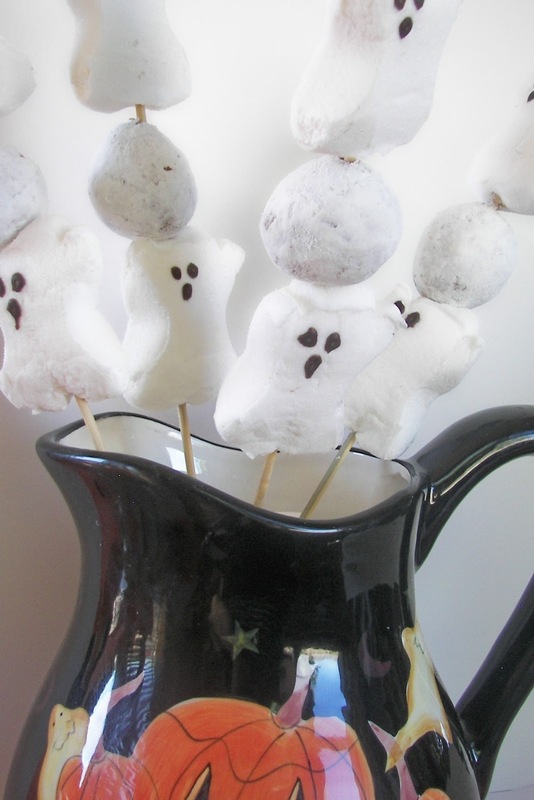 If you are having problems with the ghosts sliding -- you know how ghosts like to fly about-- skewer a Dot candy, or other semi-soft candy at the end of the skewer. You could also add some round Hostess donettes to the mix. 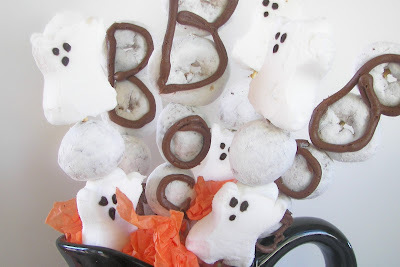 For this you will need two round donettes for the "B" and two donut holes for the "O"s. Then pipe "Boo" on each skewer. Zoulah thanks you for dropping by her "Bewitchen Kitchen" at Red Couch Recipes. These ghosts are very cute. Visiting from Alphabe-thursday. Very cute Halloween idea! Oh so fun! And I love the header. You are so creative with Halloween, Zoulah, but of course you would be :) Love the Boo bouquet! Another very cute and very very easy idea. The kids will love this one! You are really in your element with this holiday, aren't you? Are you this much fun at Christmas? I love this idea. I used skewers at my dinner party last Saturday, just put up a picture on tonight's post. My guests loved them. Spook-tacular!!! Zoulah has the best seasonal ideas! Zoulah's cleverness never ceases to amaze me:) I'm lovin' it! You always have such great ideas, Joni. Love your Boo bouquet. Something I'll have to do with the kiddos. So clever. This is a great "fast and doable" post. I might even be able to find time to do this one instead of just admiring your posts. I just saw those Peeps for the first time in a store today and was immediately smitten. How clever to turn them into a bouquet! These are SO cute! 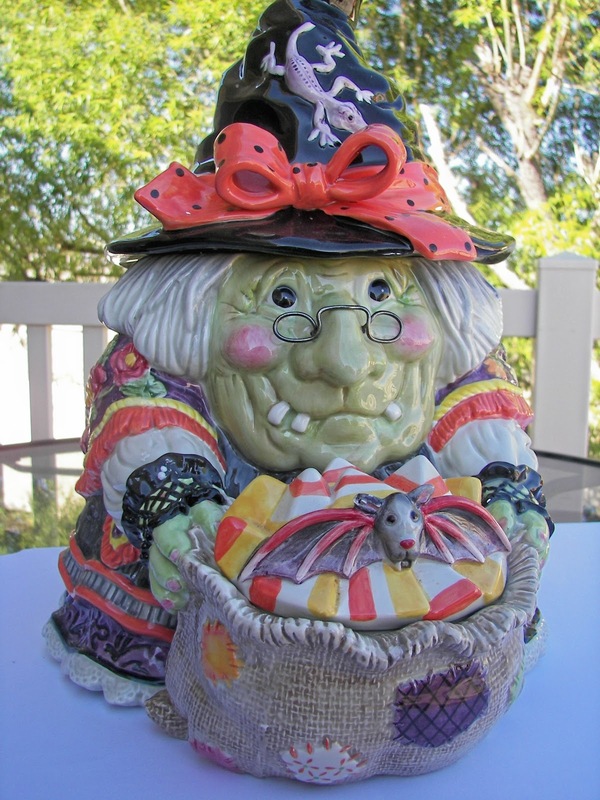 What a fun addition to any Halloween party! Thanks for sharing! SUCH a great idea! Might have to make these for the teachers at my girls' school! visiting from tatertots and jello. brilliant idea. my boys would go crazy for this! What an adorable idea. Even better that you can eat the decorations in this case. Food on a stick is so much fun! That is such a cute idea! Thanks for linking up! Wow. I love this. What a totally clever idea. I'm going to print this out and take it to the preschool. I've never seen this done before. Thanks for the smile and the fun, fun link on Alpahbe-Thursday. This was the neatest idea I've seen in a long time.